Multivitamin is a comprehensive multivitamin supplement, which helps in providing the key nutrients in the everyday diet to support an active and healthy lifestyle. This premium blend of vitamins and minerals, which also comes with the goodness of Taurine and Ginseng helps in the promotion of overall well-being and keeps mentally alert and physically active. 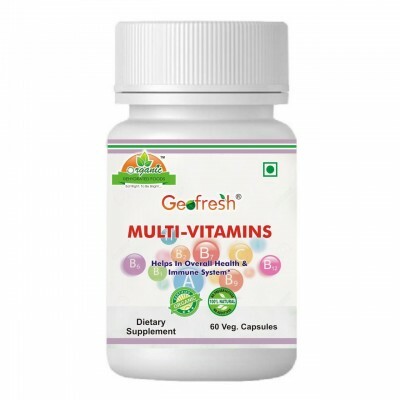 This multivitamin supplement contains a perfect blend of a variety essential vitamin, which is required for vitalizing the body and to keep you protected from the damage caused by harmful free radicals. It may help to enhance your immunity that can protect your body from various infections and bacteria. Promotes Healthy Skin, Hair, Nails and reduces Skin Ageing.